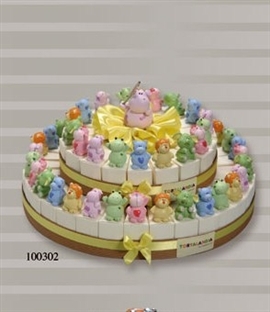 Bomboniera cake - 40 pieces - decorated with various animaletti. Each box filled with 5 confetti and bigliettino. Only 1 available. We do have 20 extra pieces available - so if you need more than 40 individual pieces, we have a few more we could also sell at $ 4.00 each.